Respite Care is part of our Special Needs Family Ministry at Gracepoint Church. These are special events held for families of kids with special needs and their siblings as well. These are usually events that take place on Friday nights, Saturday mornings, or Saturday nights for approx. two to three hours. During these events, the children and their siblings enjoy a supervised time of games, arts and crafts, and music, while the parents can enjoy a much-needed break. 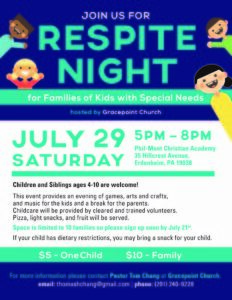 If you are interested in finding out more information or when the next Respite Care event is scheduled, please contact Tom Chang, Assistant Pastor at Gracepoint Church. 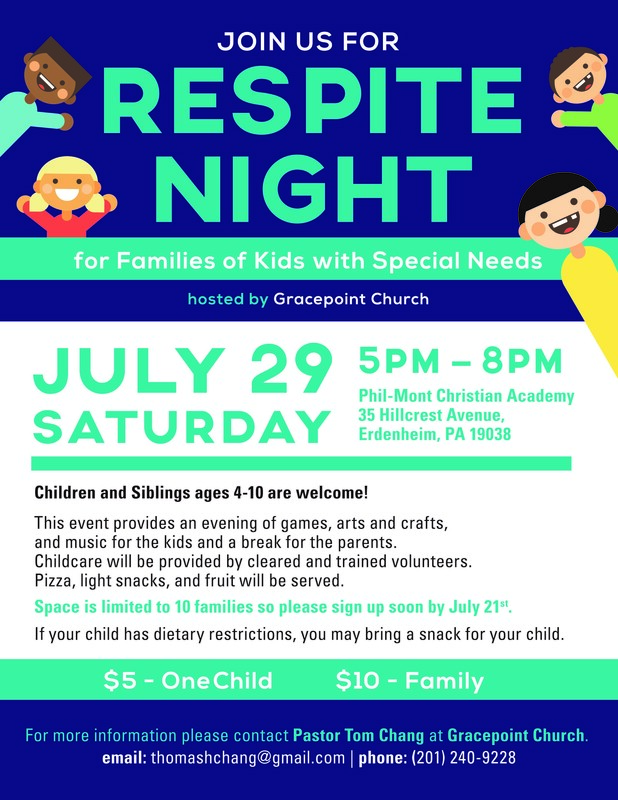 To download the registration form for the upcoming Respite Care event, please click here.